Mcdonalds Coffee Deal is back! 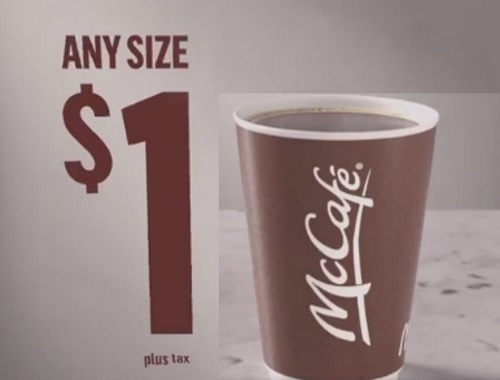 Get any size McCafe for only $1 for a limited time! Offer is valid April 9-29, 2018. See participating restaurants in Ontario for details. Limits apply.